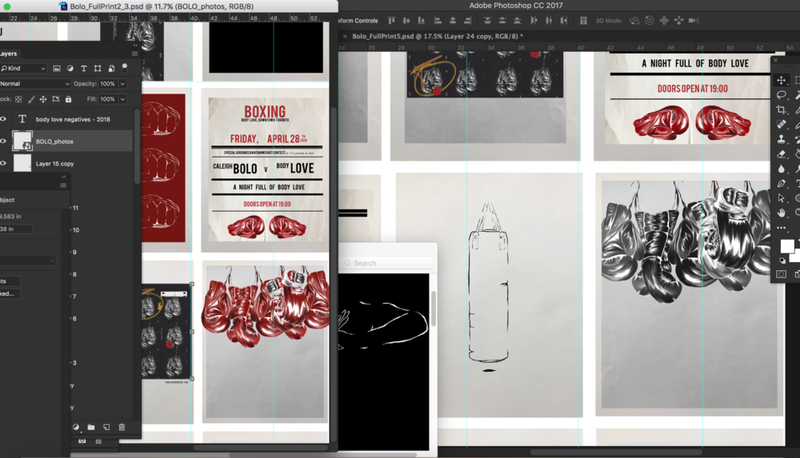 Caleigh, the founder of BOLO, was inspired by collaged vintage boxing posters for her second print. We took that idea, flipped it on its head, and created a collage with an overall clean and chic vibe. Here is just a small portion of what the full print is going to look like. I can not wait to see this printed and on the wall. I have the coolest clients ever.